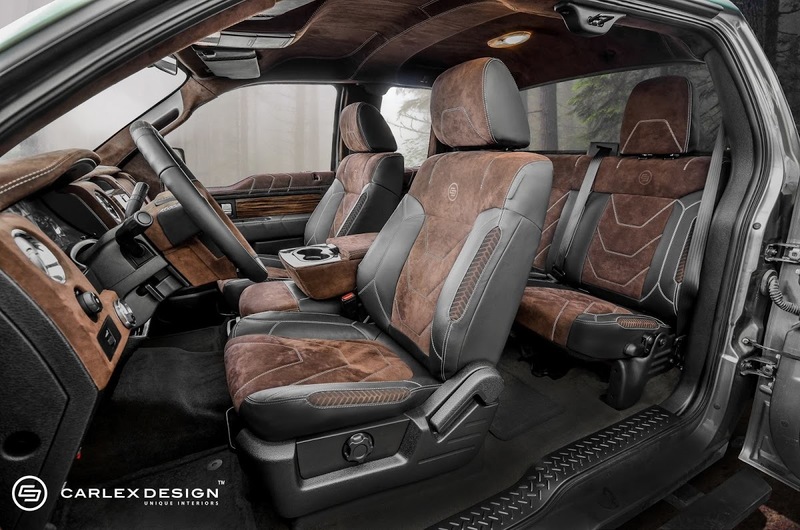 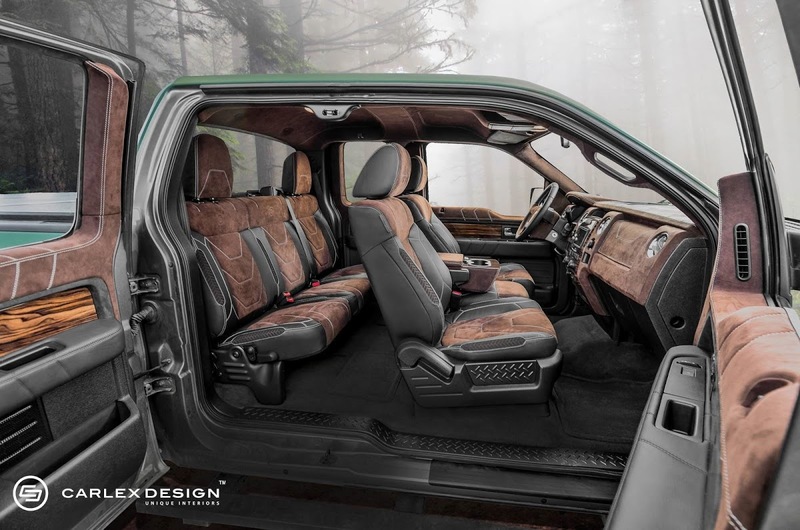 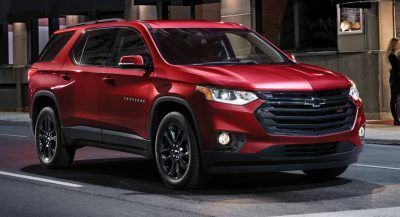 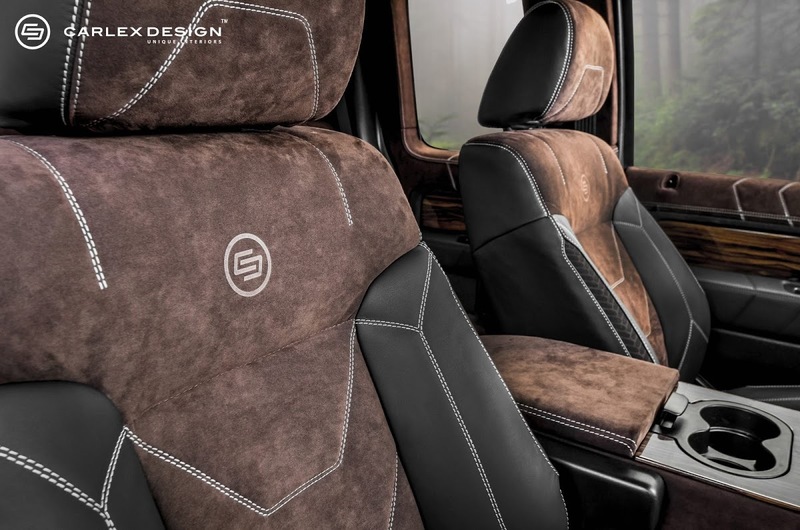 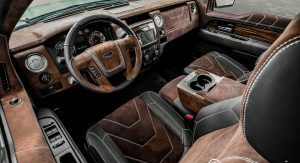 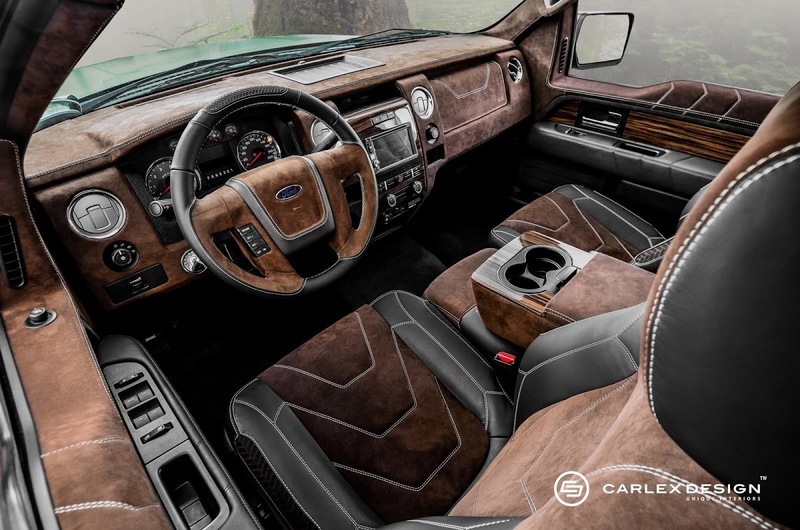 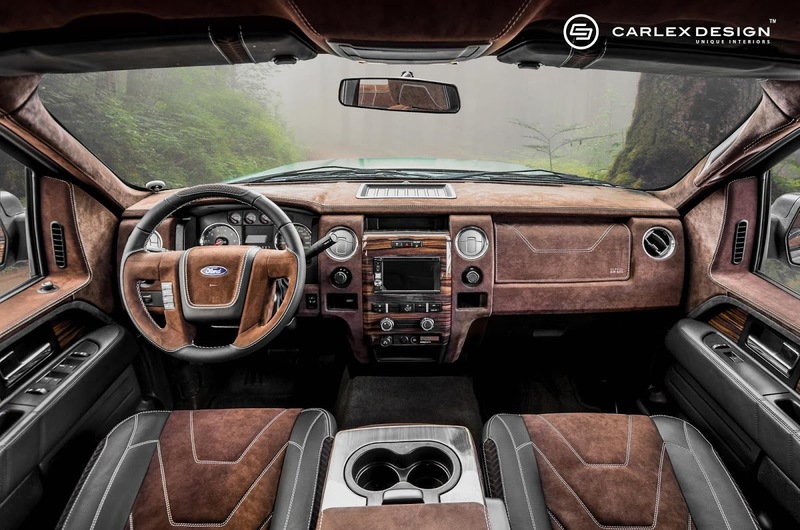 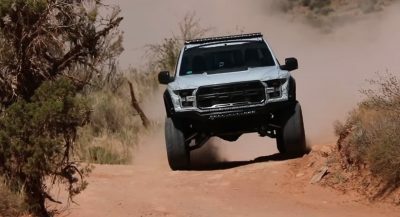 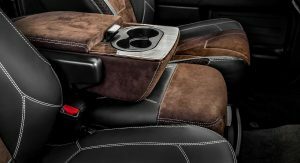 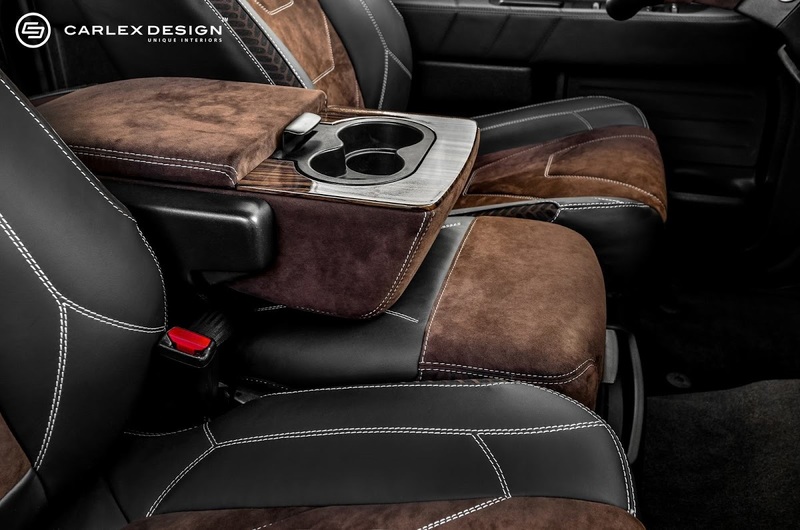 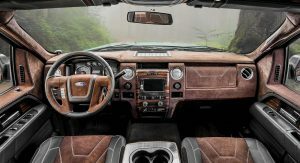 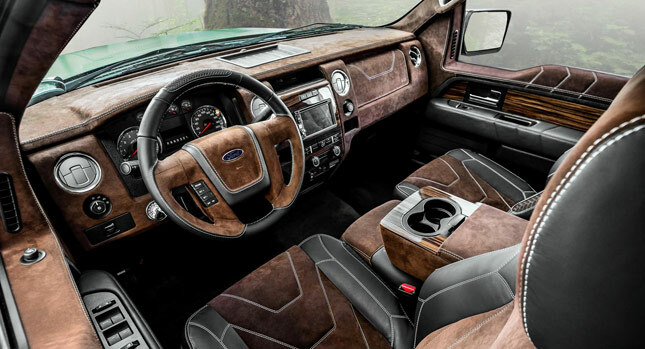 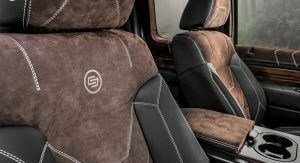 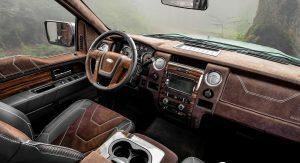 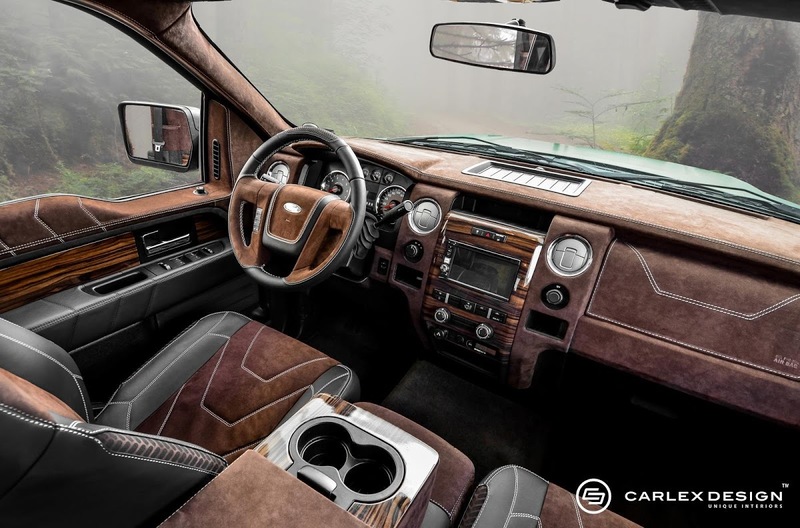 Who knew that Ford’s ever so popular in the States, F-150, would not only have fans across the pond, but that one would go as far as to revamp the pickup truck’s entire interior. 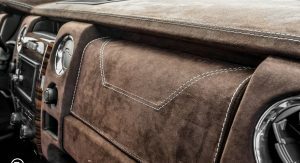 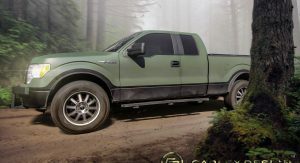 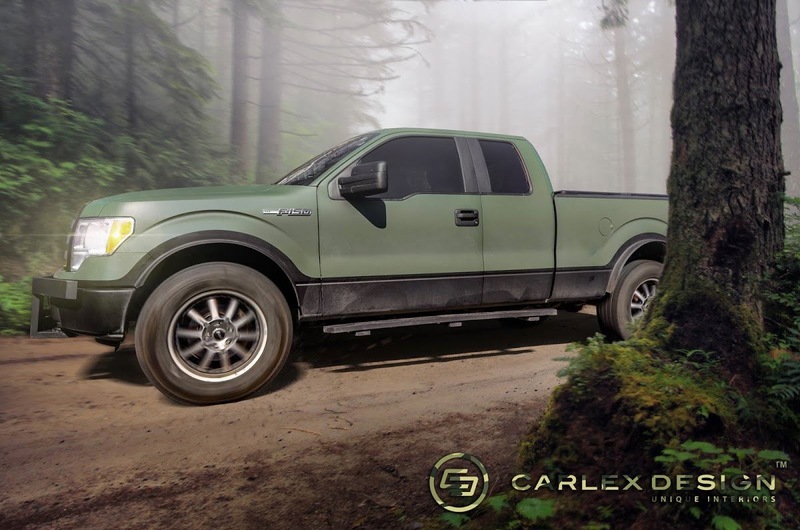 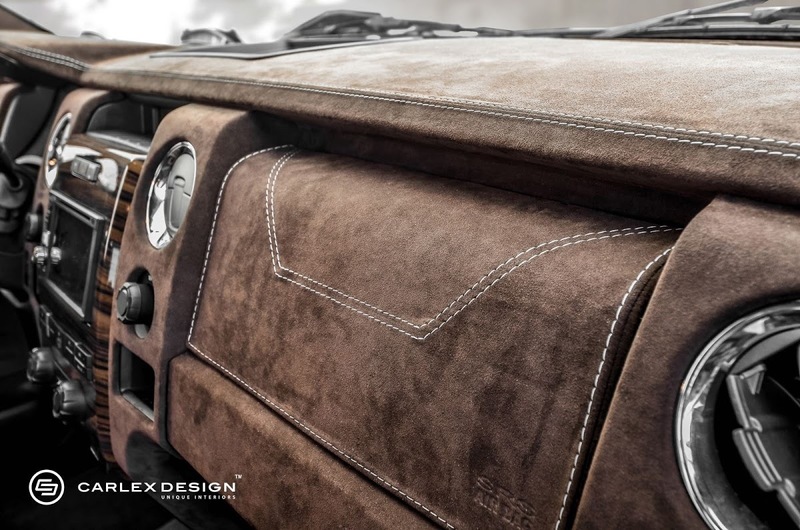 Made by Poland’s Carlex Design, the 12th-gen (previous model) F-150 with the almost military-like, soft-green hue on the outside, gets the full hands-on treatment inside, with just about every surface from the floor and up dressed in new materials. 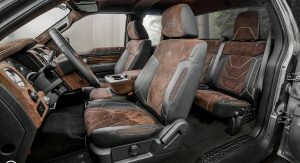 Black leather and what appears to be either brown suede or Alcantara (Carlex has not released any information on the project yet) with contrast white stitching adorn the seats, steering wheel, door panels, dashboard and the headliner, while different wood veneers complete the new look.